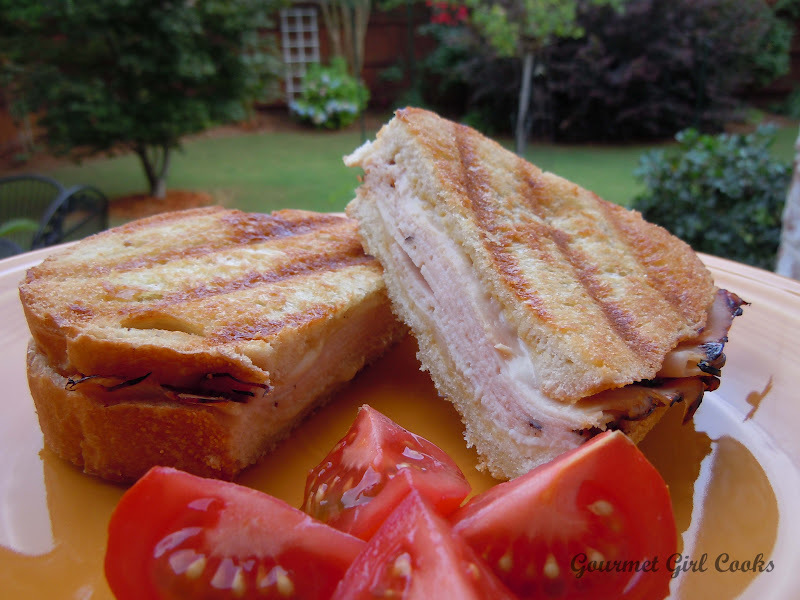 Gourmet Girl Cooks: It's Monday and it's Boar's Head Panini Night! Today was another nasty rainy day out, but we needed the rain so no complaints here. Hubby said he'd like something simple and quick for dinner tonight...so I made it "panini night". I had some Boar's Head Honey Maple Turkey in the deli drawer and some sliced Muenster cheese...so I put a little smear of Boar's Head honey mustard on some Italian bread that I sliced and in about 10 minutes we were eating paninis! These were really good too. I know it is just a sandwich, but somehow grilling it in the panini pan just makes it "special". I snapped a pic for you to see. Enjoy!